Environmental activists are demanding the Brazilian government shut the company down until it can prove its dams are safe. The International People’s Conference on Mining and the Yes to Life, No to Mining Network said on February 1 that the mining company had to be held accountable. They said the right-wing Jair Bolsonaro government should pay for the victims’ expenses, including compensation and rehabilitation. 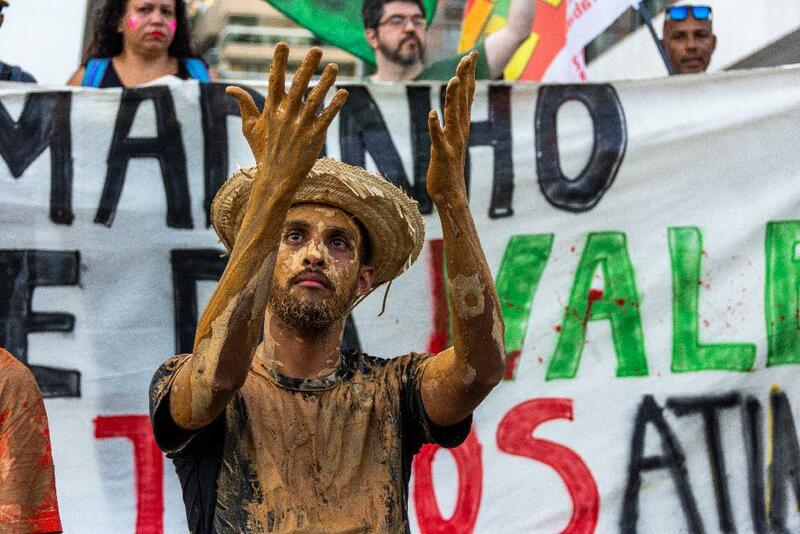 Green Left Weekly’s Pip Hinman spoke to Fabiana Alves from Greenpeace Brazil about these issues. After the collapse of its Córrego do Feijão tailings dam, what do you think should happen to Vale now? The government and the people affected by the disaster should sue Vale. It needs to be made responsible and pay compensation for both the disasters — in Mariana in 2015 and Brumadinho. We also want all of Vale’s 167 tailings dams shut down until the company can prove that they are safe to operate. The inspection needs to be done in an independent manner. Have the mining regulations been tightened since the 2015 mine disaster? No, the opposite. Mining regulations in Minas Gerais have become more flexible, under pressure from the mining lobby. Minas Gerais is dependent on mining exports and has politicians closely linked to the mining industry. More than that, last year the National Confederation of Industry together with the Brazilian Confederation of Agriculture and Livestock and federal politicians linked to the big industrialists pushed hard to make environmental licenses more flexible. We have fought against this since the tailings dam tragedy in Mariana. We have been warning that similar tragedies could become common in Brazil if the legislation did not change. What has been the Bolsonaro government’s response to this disaster, and what is your view of its response? Bolsonaro went to the Córrego do Feijão tailings dam break and spoke about how devastated he was. However, the federal government needs to do more than that: it must insist on inspections of all the dams across Brazil, something that is not done. Only 3% of the dams are inspected and most results are not disclosed. Another problem is that today the mining companies hire their own inspectors. This makes the process problematic because it lacks transparency. Also, Bolsonaro has threatened environmental activists. I hope that the federal government can understand now the importance of our work. We will continue our work to stop more crimes like the dam disasters from being made to look like accidents. What are the chances of communities receiving compensation from this latest dam bust and the 2015 disaster? I do not want to speculate. But since the 2015 River Doce disaster in Mariana, no house has been built and the environmental recovery has not been carried out adequately. It is an ongoing fight inside the Brazilian justice system where, so far, Vale has not admitted it was responsible nor paid any fine.